Our take on the classic American cheeseburger. Topped with American cheese, lettuce, tomato, onion, pickles & mayo. Served on brioche bun. Crispy mozzarella sticks seasoned w/ our signature Mild Seas-n- All and served with marinara sauce! Over a half pound of authentic Wisconsin white cheddar cheese curds, beer battered and served with our own spicy Spitfire Ranch sauce. Pretzel bites deep fried to a perfect soft golden brown and served w/ our creamy Dijon sauce. Hand battered Kosher dill pickle chips seasoned to perfection with our handcrafted spices and served with our own Horsey Ranch for dipping. Pick three and choose from our Great Balls of Fire, fried pickles, mozzarella sticks, bacon cheese fries or our pretzel bites. Pepper Jack cheese balls deep fried to a golden brown, sprinkled with our Spitfire seasoning and served with our own Horsey Ranch sauce. 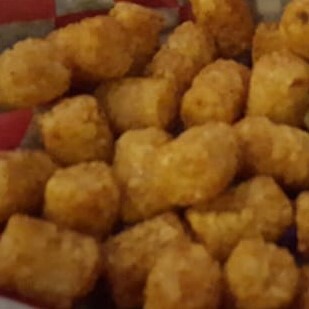 A basket of our seasoned tater tots topped w/ melted cheddar jack cheese, our smoked pulled pork, your choice of a signature BTB BBQ sauce, diced onions, diced tomatoes, jalapenos and crumbled bacon. 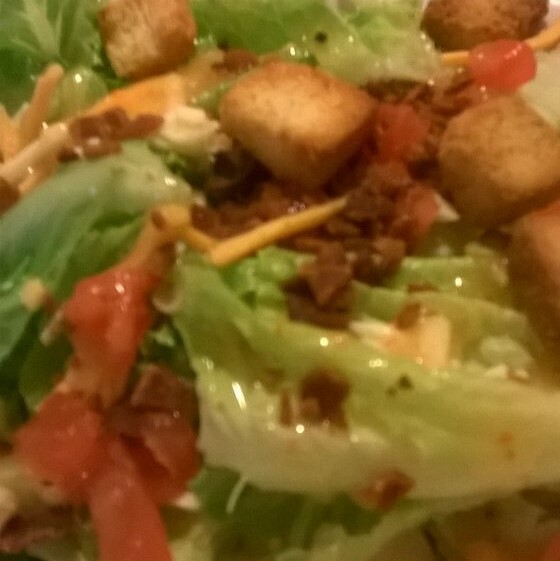 Romaine lettuce topped with cheddar Jack, bacon, croutons, diced tomato, pepperoni and your choice of dressing. Our grilled chicken breast on a bed of fresh Romaine lettuce, Caesar dressing, croutons and parmesan cheese. A fresh grilled chicken breast with Romaine lettuce, Parmesan cheese and creamy Caesar dressing served in a four tortilla. Romaine lettuce topped with cheddar Jack cheese, bacon, croutons, diced tomato, grilled or breaded buffalo chicken and served with your choice dressing. 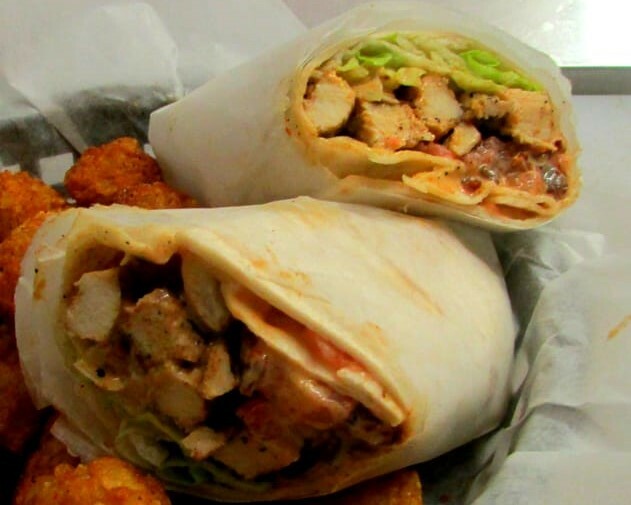 A fresh grilled chicken breast wrapped in a four tortilla with cheddar jack cheese, diced tomato, Romaine lettuce and your choice buffalo sauce, ranch, honey mustard or a signature BTB BBQ sauce. All Burgers are half pound, hand crafted patties and marinated in out house seasonings. 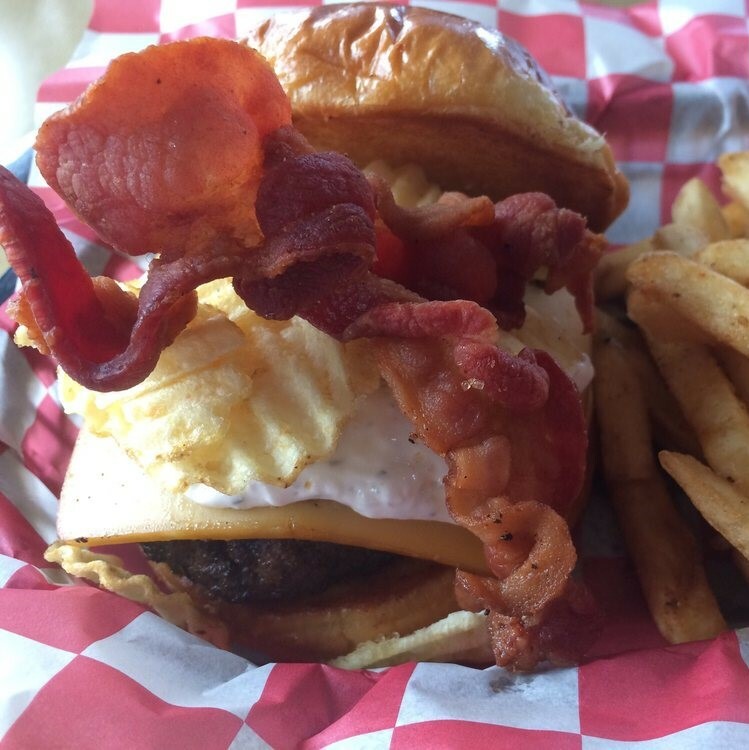 Each specialty burger is served with seasoned fries. One of our most popular Burgers of the Moment for 2017, this flame grilled burger is topped with smoked gouda cheese, a house French onion dip, potato chips and smoked bacon. Served on a brioche bun. Our version of the patty melt, this flame grilled burger is topped with Swiss cheese, sautéed onions and our own homemade Phatty sauce. Served on sour dough bread. Our flame grilled burger deep fried and topped with cheddar cheese, our deep fried Wisconsin white cheddar cheese curds, smoked bacon, lettuce, tomato, onion, pickle then topped with our popular Spitfire Ranch sauce. Served on a Pretzel Bun. A flame grilled burger served on Texas toast and topped with pepper jack cheese, sautéed onions and jalapenos, smoked bacon and a drizzle of our new Spitfire Ranch sauce. Served on Texas toast. Just like it sounds. A flame grilled burger topped with Swiss cheese, sautéed mushrooms and crumbled smoked bacon. Served on brioche bun. Like our Footloose reference there? This burger boasts a slice of Swiss cheese, cheddar cheese, pepper jack cheese and a scoop of our house cheese. We then top it with 3 slices of smoked bacon. Served on a brioche bun. A flame grilled burger served with one of our signature BTB BBQ sauces, cheddar cheese, smoked bacon, and topped with lettuce, tomato, onion, and pickles. Served on a brioche bun. Cheese overload? Served on a pretzel bun, this burger is topped with our popular 7 cheese mac n cheese, crumbled smoked bacon with a ranch drizzle. Our flame grilled burger topped w/ cheddar cheese, sautéed pineapple, bacon and finished with our own BTB Pina Colada sauce. Served on a brioche bun. This is a quarter pound garden burger perfectly seasoned and topped with American cheese, lettuce, tomato, onion, pickle and Ranch dressing drizzle. Served on brioche bun. 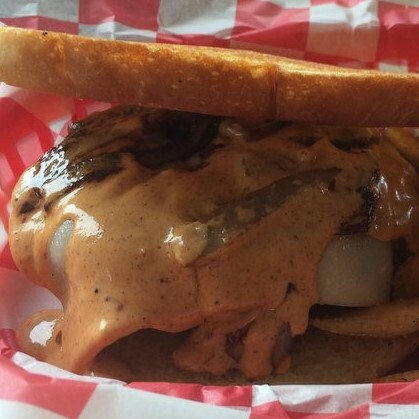 Our fried pickles are so popular we put them on a burger. We top this burger with pepper jack cheese, our fried pickles, smoked bacon and a drizzle of our popular horsey ranch sauce. Served on a brioche bun. A burger topped with a mild cheddar cheese, our mouth watering pulled pork, choice of one of our signature BTB BBQ sauces, smoked bacon and a deep fried onion ring. Served on a brioche bun. Runner up in the 2016 Bull Burger Battle, this burger includes lettuce and onion and is topped with pepper jack cheese, cookie butter, smoked bacon and a sriracha drizzle. Served on a brioche bun. Our flame grilled burger topped w/ cheddar cheese, Buffalo sauce, bleu cheese crumbles, smoked bacon, lettuce, tomato, onion and pickle. Served on a brioche bun. 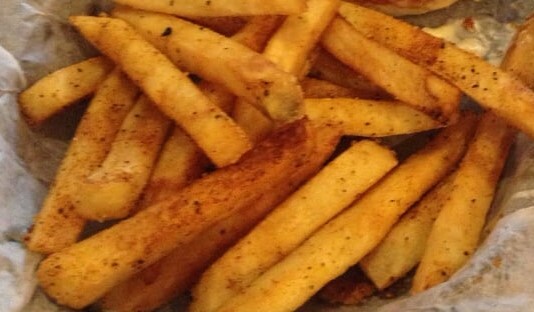 Each specialty hot dog is served with seasoned fries. All our hot dogs and all beef 1/4lb dogs, cooked to perfection using hand-crafted signature seasonings and sauces. Just like the name. Plain hot dog served with relish on the side. A deep-fried dog topped with your choice of signature BTB BBQ sauce, smoked bacon, cheddar jack cheese, onion and relish. A deep-fried dog topped with a healthy portion of our spicy Spitfire Chili, our house cheese sauce, diced onion, jalapenos and a Spitfire BBQ drizzle. A grilled dog topped with crumbled smoked bacon, mustard and pickles. A deep-fried dog topped with our one of a kind smoked pulled pork, crumbled smoked bacon, shredded pepper jack cheese, your choice of signature BTB BBQ sauce and diced onion. A seasoned grilled dog topped mac n cheese, Buffalo sauce, ranch, pepper jack cheese, bacon crumbles and jalapenos. A deep fried dog topped with relish, mustard, diced onion, tomato slices, a kosher dill spear, sport peppers and celery salt sprinkle. A third pound of our savory hickory smoked pulled pork topped with your choice of signature BTB BBQ sauce. Flame grilled seasoned chicken tossed in our delicious house mac n cheese and topped with a Buffalo ranch drizzle, crumbled smoked bacon and served with garlic toast. This entrée is not served with a side. Our famous mac n cheese topped with our equally famous smoked pulled pork, crushed bacon, jalapenos, your choice of signature BTB BBQ sauce and served with garlic toast. This entrée is not served with a side. Our famous mac n cheese topped with our Spitfire chili, diced onions, and jalapenos. Served with garlic toast. This entrée is not served with a side. 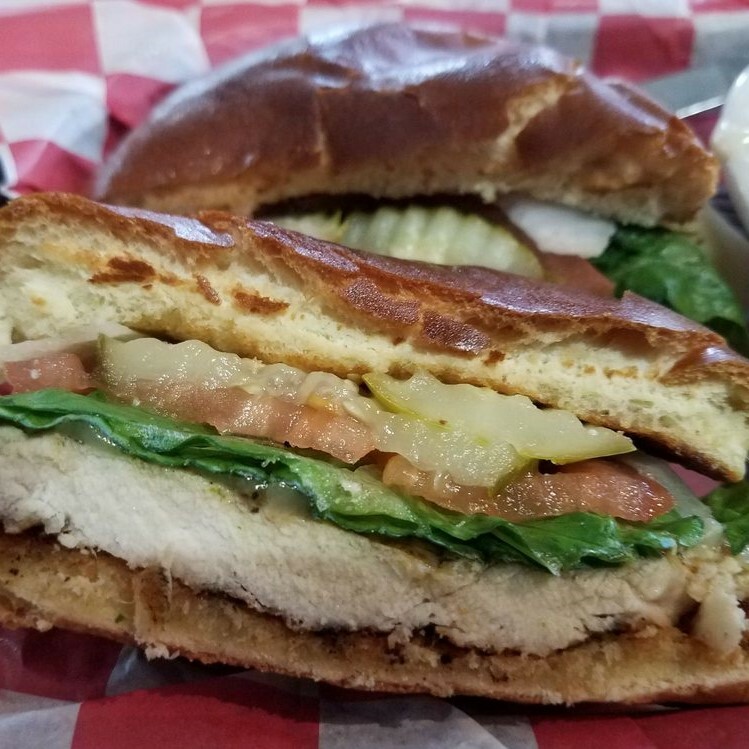 A seasoned chicken breast flame grilled and topped with lettuce, tomato, onion pickles and mayo. Served on brioche bun. Seasoned grilled chicken topped w/ cheddar cheese, smoked bacon, lettuce, tomato, onion, pickle and a ranch dressing drizzle. Served on Texas toast. Fire-grilled Kick Me Kajun marinated chicken topped with pepper jack cheese, lettuce, tomato, and onion. Served on brioche bun. 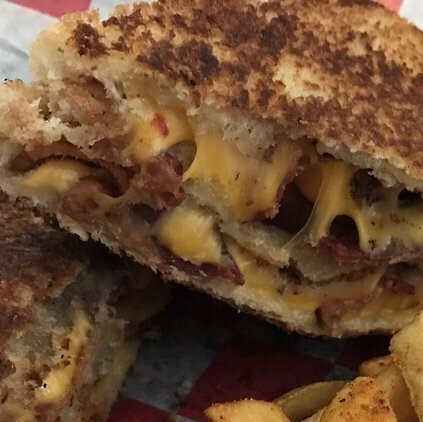 A double decker grilled cheese sandwich served on three pieces of Texas toast w/ cheddar, American and pepper jack cheeses topped w/ smoked bacon. Pulled pork on a quesadilla, who does that? We do!! We throw together shredded cheddar jack cheese, our smoked pulled pork, crumbled bacon and your choice of signature BTB BBQ sauce between 2 crispy flour tortillas. This BLT boasts one full pound (pre-cooked weight) of Applewood smoked bacon topped with lettuce, tomato and our own creamy Dijon sauce. Served on toasted sourdough bread. Three smoked pulled pork tacos served with your choice of signature BTB BBQ sauce and topped with cheddar jack cheese, romaine lettuce, diced tomato, diced onions and jalapenos. Served in a soft flour tortilla. Classic chicken strips and fries served with your choice of dipping sauce. Choose from one of our signature BTB BBQ sauces, Ranch, Honey Mustard, Spitfire Ranch sauce or have them spun in Buffalo. A fire grilled quarter pound cheeseburger topped with lettuce and pickles. Our savory smoked pulled pork in the just the right size for the kiddos. Served with your choice of BBQ sauce. Mini corn dogs served with your choice of side. All kids love the grilled cheese! Served on sourdough bread. 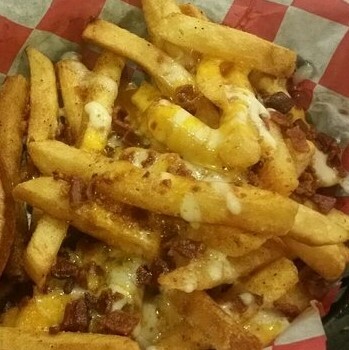 Served with choice of Honey Mustard, BBQ sauce or Ranch dressing for dipping.